The Color Lux Collection, exclusively from Comfortex Window Fashions, is the most exciting color program in the custom window treatment world. With Color Lux, you will no longer need to compromise on color for your window fashions. The way you pick out color for your shades has been reinvented. Whether you are coordinating window shades with paint, wallpaper or any other home décor item, you now can easily find the right color to express your style. Simply use the color deck to find the color that best suits what you are trying to match or coordinate. Whether it be a pillow, rug, sofa or an accent wall, you can rest assured that the color you choose will pair perfectly with the rest of your home. Don't settle for the second best color when the one you want is now available on beautiful textured fabrics. Each color in the color deck has been matched to our fabric samples to ensure color consistency. 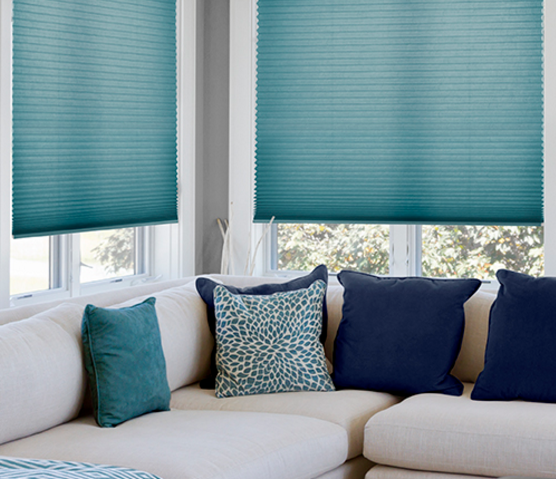 Cellular shades are produced on the Linen Weave fabric. A beautiful linen fabric featuring touchably soft threads and a natural woven appearance. Available in light filtering and room darkening, honeycomb fabric has the added advantage of minimizing drafts and improving energy efficiency. 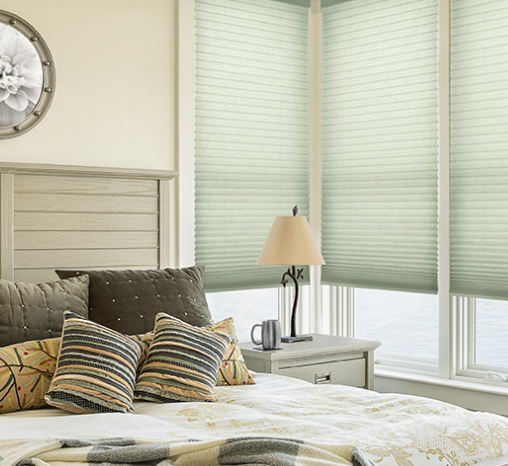 Custom colors are also available in roller shades and panel track styles. Copyright 2016 Divine Window Decor, LLC.